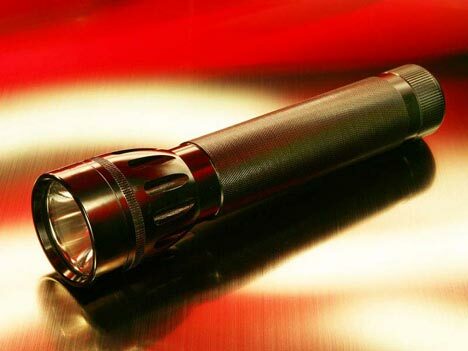 This might not be official just yet, but the people over at the Guinness Book of World Records are currently looking into claims that The Torch flashlight from Wicked Lasers is the most powerful flashlight in the world. The Torch comes in with 4100 lumens of light, which is 100 lumens brighter then the previous record holder. How many times have you said to yourself , “Gee, I wish I could cook an egg or start an fire with my flashlight”? I know, I say it all the time too. All this and more is possible with The Torch. Not only does its 100 watt halogen bulb put out an amazing amount of light, but it also puts out quite a bit of heat. You can turn night into day, and cook breakfast at the same time. Check out the video below if you dont believe me. The flashlight uses a 14.4 volt battery that produces about 15 minutes of light, so I hope you don't plan on being lost for too long. At $300, it is not a tool for the everyman, but I am sure it has a place on a rich mans shelf.